Languages spoken: Luganda and English. Writing language: Wrote mainly in English but started with community health plays in Luganda. Education: Went from Nsangi Primary School to King's College, Budo on scholarship. She was admitted to Makerere University for a Diploma in Education in 1962 and in 1963 proceeded to the University of Leeds for a B.A. in English Literature. Employment: Teacher, Aga Khan SS, Kampala, 1966; Broadcasting Officer, Education, Radio Uganda, 1967-70; Creative Writing Fellow, Makerere University, 1971-72; Lecturer, subsequently Head of English, National machers College (now Institute of Teacher Education), Kyambogo, 1973-79. In 1979 she was appointed Uganda's High Commissioner to Ghana but died before taking up the position. Zirimu held several leading positions in Ugandan organisations and was instrumental in the Ugandanisation of the English language and literature curriculum in Uganda's secondary schools. In 1967 she was one of the founding members of Ngoma Players and she acted in, or directed, at least 12 of their productions. She helped found the Uganda National Choir in 1967 and from 1971-1979 was active in the National Cultural Centre, helping to formulate the policy of the National Theatre (Chair 1978). 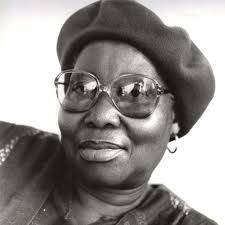 She produced Byron Kawadwa's classic, Oluyimba twa Wankoko for Uganda's 1977 FESTAC entry in Nigeria where it emerged tops. She produced television plays, acted as adjudicator in several drama competitions and several cultural festivals would not have taken place without her efforts. On her second visit to Britain (1972- 73) she worked with the Roy Hart Theatre and the Keskidee Centre and also presented "Break for Women" for the BBC World Service. Bibliography: In Origin East Africa (ed). David Cook. Keeping up with the Mukasas; The Hen and the Groundnuts. London: Heinemann, 1965. When the Hunchback Made Rain; Snoring Strangers (2 plays1 volume). Nairobi: EAPH, 1972. Family Spear; Keeping up nith the Mukasas (2 plays in I volume). Kamasiira and Other Stories (short story collection). Nairobi: EAPH, 1980. Her unpublished play, The Brother's Wife won the prize for best original play in the Uganda Schools Drama Festival 1967; When the Hunchback Made Rain won the EAPH playwriting competition; and Family Spear was runner up in a BBC drama competition.